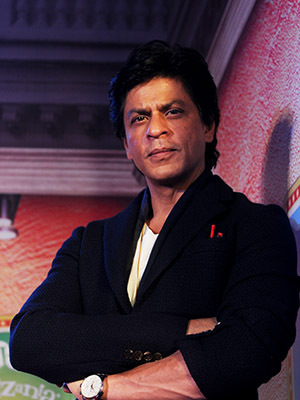 Superstar Shah Rukh Khan, at 50, is raring to take fresh guard in his career. Shah Rukh, who has wrested the top slot in the 2015 Forbes India Celebrity 100 List from rival Salman Khan, has made it clear that he will do around three films every year from now on, up from the one-film-a-year schedule currently. But that will be done by way of a calculated strategy, where he will do middle-of-the-road, lower budget movies only after balancing that with one big blockbuster a year. In a nearly-three-hour chat with Forbes India magazine, Shah Rukh said that the one blockbuster would help cushion the other ‘different’ films in his slate. Importantly, his movie production company Red Chillies Entertainments, is also turning distributor for the first time with Dilwale, which releases on December 18. Khan tops the 2015 Forbes India Celebrity 100 rankings with a hefty Rs 257.5 crore earnings, followed by Salman Khan and Amitabh Bachchan. The Forbes India rankings are based on a comprehensive score, taking into account the celebrities’ earnings and fame ranks. Shah Rukh had topped the 2013 list as well, but lost out to Salman last year. “I had always promised myself that at the age of 50, I will do films for myself. One has to write such films as well. And I don’t write films. Yes, there will be a commercial film as well, but now I am also going to do the cinema I want to do. So I will do three films a year,” Shah Rukh said. “So, with one big movie like Dilwale which takes 160 days to make, you do other ones like Raees and Fan. I have much more to offer as an artiste to myself. Also, now I get bored if a film takes too long to complete. So after three months, once I have cracked the code and understood it all, I feel I am done with it. I don’t get excited then,” he said. Shah Rukh said he wants to make four or five key films in his career for which he would like to be remembered, “by my children, not anyone else”. “Adi (Chopra) and Karan (Johar) counted six or seven I have already done, but I think those are outdated now. I feel I can do better. I think Fan will be one of those films. But then again, the list can change after a few years. Otherwise there’s no growth,” he said. In Fan, produced by Yash Raj Films, Shah Rukh plays a younger version of himself as a fan of the filmstar, by way of special effects. Visibly excited by the film, directed by Maneesh Sharma, he said it is the first time such special effects had been attempted for the entire duration of a film. “It’s like it’s me and yet not me,” he said. Red Chillies VFX, the special effects arm of his production house, is working on the special effects for Fan. He said as a father, he would be happy if his children, Aryan, Suhana and AbRam, excelled in any field of their choice. He had also never tried to impress upon them his stature as a movie star. “It is so ironical if I have to explain to my children how great I am. It’ll be stupid. My children don’t think of me as a special person. I am sure they think of me as a very special father,” he said, adding that he does not think of movies as a familial business where his children also should be film actors. “I don’t think that after me, my children will keep my name high. After me, my children should keep their names high, and that’s what matters. Having said that, the only thing I have told them to have is a yearning for learning which my parents gave me. I have told them to read all the books in my library. I’ve told them, if you don’t, then you’ll disappoint me a little. I want them to be my friends, my legacy, no matter who they become. And have an education,” he said. Shah Rukh said he is someone who gives it his all when he does a movie and then needs to detach himself from it. “I have that kind of life… I give so much to it… then I have to detach myself from it. One hundred percent, it takes a toll. I cannot continue with ‘see how much business Chennai Express has made…’ etc. Some get upset because I am no longer in touch with them… I will give it my all and then break away and get on to the other one with passion knowing I will break away again. It makes you very reclusive, quiet, sad, lonely,” he said. After reading or watching your news or interview, I respect you more and more. You are my inspiration for sure and sure. You\'re such a really rare gem. Salute SRK!! India is so lucky to have you. If I have a chance, I want to meet with you just 5 mins before I die. God bless you King Khan!